Advance Building Protection is a leading Los Angeles based fire systems contractor. We specialize in testing, repair, installation, and monitoring in commercial and residential applications. Our business includes sprinklers, central stations, alarms, stand pipes, and emergency doors. We even have our own fire trucks! Where You Get Fast Service From Skilled Granada Hills, Northridge, and Chatsworth Plumbers granada hills plumberAll State Plumbing Company is ready, willing and beyond capable of providing you with the service that you need and the quality results that you deserve. Having been around since 2005, our Granada Hills plumbing company has had plenty of time to establish ourselves as the local leading provider for plumbing, drain and sewer services. This is especially true since our actual history in the industry spans back to cover close to 30 years now. We are available around the clock, offering emergency service 24 hours a day and 7 days a week. You can expect the same level of quick and friendly service anytime of day, night, weekend or holiday. Of course, we also are certified, licensed, bonded and insured, as any so-called professional plumber you work with should be. What makes all the difference is our dedication to service excellence. We go above and beyond to provide each of our clients with superior workmanship, customer service excellence and more than reasonable pricing. 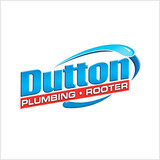 Don't settle for less than the best when it comes to the work that goes into your residential or commercial plumbing. Call us to address any of the following service work. Rob Plumbing is a name you can rely on when it comes to plumbing services in Los Angeles. When you have a leaky faucet in your bathroom or kitchen, the last thing that you would want to do is trying to repair it without knowing how to do it. At Rob Plumbing, we offer effective solutions to every small and big problems related to plumbing, so that you don’t have to do it yourself. Our offices are at 8132 Firestone blvd #267 Downey ca 90241 and we serve the entire Los Angeles area and the surrounding neighborhoods as well. 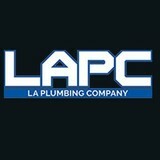 So, if you are in Los Angeles and you are facing any problems regarding plumbing, then you can always feel free to get in touch with us and we would solve your issues with ease. 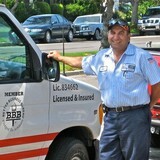 Fix It Quick Plumbing Inc.
Family owned and operated, servicing southern California since 1995. Personal service with great attention to details and to our customers needs. 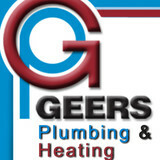 Specializing in tankless water heaters, custom homes and high end plumbing. We never sub contract our jobs. Our experienced, certified and well trained crew makes sure that each customer is a lifetime customer ! Call us for a free estimate, free in home CONSULTATION and over the phone plumbing tech support. Payless Water Heaters provides quality water heater repair and maintenance services in Valencia. We understand how important hot water is to your daily routine - from taking showers to washing the dishes. Our team has over 30 years of combined industry-leading experience, which gives us greater insight into locating root problems and providing customized solutions. Unlike some technicians, we carefully survey the unit before starting any repairs. This allows us to accurately address the issue and create lasting solutions. As a family owned and operated business, we have deep roots in the community. Our mission is simple - provide the ultimate customer experience. This means always being on time, being professional, and being available 24/7. With upfront, honest pricing, you never have to worry about overtime charges - so the only surprise you'll experience is that at a job well done. If you're ready to get started, call (661) 465-4049 today to schedule your service!